I just realized I haven’t posted about these noodles. Wha? I can’t believe you could have been eating these for months and instead I’ve been keeping this AMAZING recipe to myself. I feel like a bit of a jerk about that. 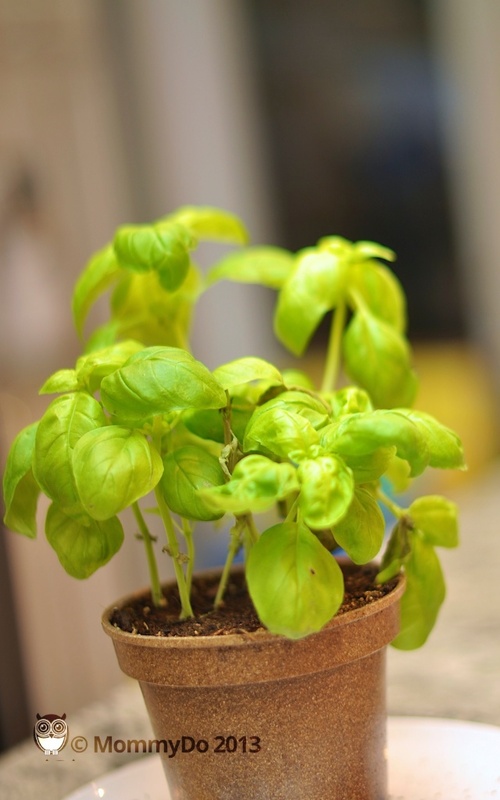 I now have a plant – AN ACTUAL PLANT – so I always have fresh basil to make this specific recipe. I’m pulling the recipe from here at The Cozy Apron. If you try them and like them as much as I do – (you know, ‘go out and get the only plant you have AND keep it alive just so you can make the noodles.’ like them) – pop over and let Ingrid know. 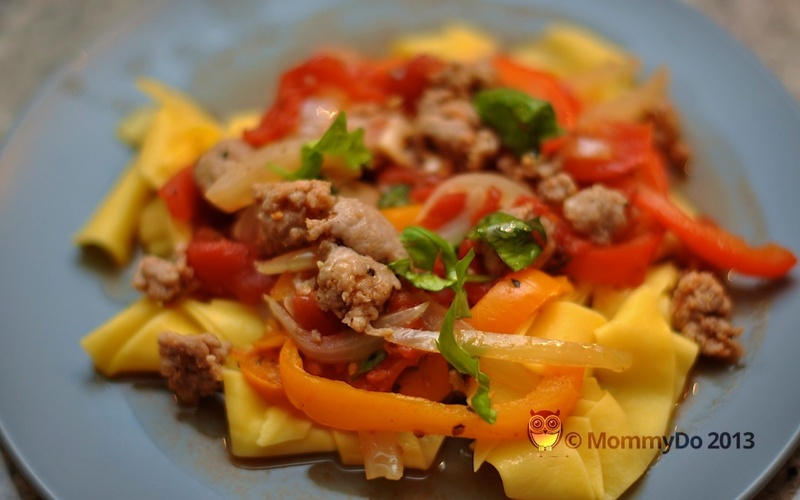 -Place a large, heavy-bottom pan or braising pot over medium-high heat; add about 2 tablespoons of olive oil, and once the oil is hot, crumble the spicy Italian sausage into the pan in small chunks (you want to keep the sausage fairly chunky), allowing it to brown in the oil for a few moments on each side; once the crumbled sausage is browned, remove it from the pan/pot with a slotted spoon and place into a small bowl to hold for a moment; next, add the sliced onion into the pan with the sausage drippings, and allow it to caramelize and become golden for roughly 5 minutes or so, stirring to keep it from burning (add a touch more olive oil, if necessary); once the onion starts to become golden, add the salt, Italian seasoning and cracked black pepper, and stir to combine, then add in the sliced bell peppers, and allow those to saute with the onion for about 2 minutes until slightly tender and golden; next, add in the garlic, and once it becomes aromatic, add in the white wine and allow it to reduce for a few moments, until almost completely reduced; next, add in the diced tomatoes with their juice, and return the browned spicy Italian sausage back into the pan, and gently fold the mixture to combine; allow it to gently simmer for about 3-4 minutes to blend the flavors, then turn the heat off; to finish the sauce, drizzle in about 2-3 good tablespoons of the olive oil to create a silky, rich flavor, and add in the chopped parsley and about half of the julienned basil; stir, and keep warm while you prepare the noodles. -To serve, add equal portions of the “Drunken” noodles to bowls, and garnish with a sprinkle of the remaining julienned basil; you can even top with shaved Parmesan, if desired, and an extra drizzle of olive oil.Enjoy! cooked from scratchcookingfoodrecipeWhy Is It Never Takeout Day?